Posted on February 25, 2017 . by Patrick Johnstone. Leave a comment. Amongst the joys of my job as a City Councillor is collaboration with other elected types around the region who are trying to solve regional problems in new ways. I’m also a bit of a data geek, so I love getting new information and learning from people much smarter than me who have innovative approaches to problems. The topic is as relevant in New Westminster as anywhere in the region: How do we replace an aging stock of rental buildings without displacing people who rely on an affordable rental building stock? There has been a lot of talk about this in the City of Burnaby, and although they get a (perhap unfair?) majority of the press, this is truly a regional concern. The City of New Westminster has done a lot to incentivise the building of family friendly apartment housing, secured rental housing, and other housing forms in the hopes that we can eat away at the affordability monster. We also have a huge stock of condo and rental buildings, mostly in Brow of the Hill and Sapperton, that are aging and don’t meet modern building standards. At some point, replacement of this stock is going to create a Burnaby-like situation, unless we take a proactive approach to the issue. That said, who knows what that proactive approach looks like? 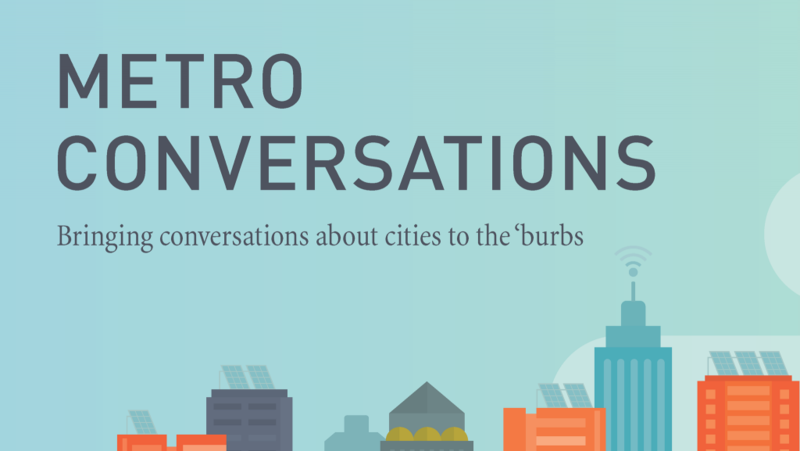 This MetroConversation will feature people who have a better idea of what works and doesn’t when it comes to managing our affordable housing stock – actual subject matter experts who view the issue from diferent angles. As always, this will be an interactive conversation, not a boring set of speeches. Bring your questions, bring your ideas, and help add to the conversation in the region. The room is relatively small (we want an intimate conversation) so please be sure to register to make sure you can get a seat, we totally expect to sell out. Posted on February 23, 2017 . by Patrick Johnstone. 1 Comment. This project would see the 1912 corner store at Second Street and Durham Street in Glenbrook North restored to its vernacular Edwardian glory and converted back to its original layout: commercial at the ground floor with a small family home above. In exchange for restoration and permanent protection of the building, the owner is applying for a subdivision of the lot to build a relatively small Craftsman-style bungalow on the other half of the lot. The Heritage Commission and Advisory Planning Commission approved of the project, and there was a generally positive response to the plan from the residents’ association. We received 3 written submissions in response to this application, one opposed to the subdivision, but in favour of the heritage restoration, and two concerned about the impact on street parking. We also had three presentations at the Public Hearing, the proponent (who was in favour), a neighbour with questions regarding potential commercial uses and the heritage value of the building (but not necessarily opposed), and one neighbour who expressed support for the project. This project was pretty easy to support for me, and it seems my Council colleagues agreed. There is a heritage win in preserving a building that seemed important to the neighbourhood, there is a great potential that the space will be turned into a neighbourhood daycare, which is in desperately short supply in New Westminster, an the infill density (the proponent is turning one converted house into a commercial space, a similar-sized house, and two rental suites) will include some more affordable options in a very family-friendly neighbourhood. The one concern I have heard was the impact on street parking. The residential buildings will have off-street parking to meet their needs, but the commercial parking will indeed impact street parking availability. I did a quick Google Earth Survey, and calculated that of the 29 residential houses within 100m of this property, one is under construction, and the rest share no less than 29 indoor parking spots and 45 outdoor off-street parking spots. I am not compelled to believe there is a lack of parking on this block, at least not enough that I am going to say no to much-needed daycare spaces in the neighbourhood. Council voted unanimously to give these bylaws third reading. You might remember the Urban Academy / Wesgroup plan for the 100 Braid Street site. The school wants to get building, but the other lot, where 100 Braid Studios is, is not slated for demolition for some time; potentially a few years yet. Unfortunately, if it stays there, it will be too close to the lot line created by the subdivision, and the subdivision is needed to move the school project forward. Such is government. The easiest solution here is to allow the building a variance from the applicable zoning law, so it can remain closer to the lot line than would regularly be allowed. No-one came to the Opportunity to be Heard to talk to the variance, and our staff have reviewed it and cannot think of any good reason for us to say no. Council voted unanimously to approve the variance. This was a lengthy update on the progress made by the City in getting trains in the City to stop blowing their whistles at every crossing. We recently passed a resolution deeming the crossings along Front Street (at Begbie and under the east end of the Parkade) whistle-free, and the rail operators have until the beginning of March to change their practices. Downtown should get quitter then. Two down, we have 20 more crossings in the City to deal with. The crossings we anticipate being done in 2017 are in Sapperton just below the foot of Cumberland, and on River Drive near the Queensborough Bridge. Assuming the required equipment is delivered on time and there isn’t any certification SNAFUs, the Quayside Drive crossing should also be done by the end of 2017. The crossings along Ewen in Queensborough should be worked on in 2018, as the geometry of many of the intersections create some issues that need yet to be worked out to Southern Rail’s satisfaction. The other two Sapperton crossings are in pause mode right now, as their final work will depend on the outcome of two other projects. In the cast of the Spruce Street crossing, the alternate access to Sapperton Station needs to be developed, and in the case of Braid, the Brunette Interchange Project will obviously impact the work to be done. The City has committed $3.75 Million in capital works for these projects, including $2 Million in 2017. We are committed to doing the work, and are confident we will get there, but if you are frustrated by the pace, I share your feelings. It sounds slow, I know, but this is a terribly complicated process, involving two levels of government, four separate rail operators, and a trainload of standards and regulations to work through. However, we now have a website dedicated to the project, which will be regularly updated so you can keep track of progress. We are getting there. The new Festival Committee (of which I am a member) reviewed the request brought to Council in January for an extra $30,000 of Festival Grant funds to expand their float program and support and expanded Qayqayt Howl event as part of Hyack Week. As the 2017 grants were awarded by the previous Festivals Committee, the new committee reviewed the applications from Hyack Festival Association in light of the available funds, and the decisions made by the previous committee. The committee had to say no to several organizations, as the $225,000 budget was exceeded by over $300,000 in requests. The new committee saw no reason to change the allocations provided to the community groups, and as much as we would like to say Yes to everyone, there is a reason we set a budget and try to stick to it. Hyack was provided $61,800 in grants (out of a request for $101,800), and the new Festival Committee agreed that this was a fair and prudent award based on the terms of the Grants. This is the other side of the Heritage Conservation Period in Queens Park. Not only do requests for demolition have to come through Council, some new house construction also need to meet the (previously optional) heritage guidelines set up for the community, and Council needs to approve the building plans. We did so. This is not an idea process the way it is, but the Heritage Conservation Period is temporary, and hopefully there will be smoother processes developed as part of a future and permanent Heritage Conservation Area, assuming the community and Council decide to go that way. Please think about attending one of the open houses coming in early March if this issue is important to you! We also need to consult with other affected agencies around the region when we make changes like introducing a Heritage Conservation Area. This report simply outlines the agencies that will and will not be consulted. I really need to sit down and write some more on the update Financial Plan. It has been through public consultation, we have reviewed the capital plan at some detail, we have projected tax rates, this is now the Bylaw that supports that plan. Council agreed to give it three readings. Filming for TV and movies is a big deal in New West, and growing. We had 203 filming days in the City, and the City moved about $900,000 in revenue from those film permits. His doesn’t mean the City made $900,000 in profits. In reality, filming is pretty close to a break-even prospect, as most of that revenue is collected specifically to pay for engineering folks and police to arrange road closures, providing various services like fire inspection, paying our film coordinator to help coordinate the permitting processes, rentals to pay for lost parking revenue in the event parking meters are blocked, and things like that. This number also does not include the economic spin-offs, from private property owners earning rental fees to allow film companies to use their houses or business properties, or the various service companies that exist to source to the film industry. Nor does it take into account the millions of dollars in wages paid to New Westminster residents every year from the film industry. A single item was Removed from Consent so that a speech could be made about it. Our electricity rates are going up to match the cost of electricity that we purchase from BC Hydro to power our utility, based on the long-established policy of the City. Under that policy, New West customers (system-wide) pay the same rate as BC Hydro customers, and the city uses the difference between the wholesale rate way pay for power and the retail rate to run the system, and return the profits to the City’s coffers to offset taxes. BC Hydro rates are going up 3.5% on April 1, so New Westminster rates are going up 3.5%. This Bylaw that makes our 2017-2022 Financial Plan the law of the land was given three readings. This Bylaw that formalizes the increase in electrical rates to math BC Hydro increases was given three readings. And aside for a few announcements, that was a meeting. Posted on February 14, 2017 . by Patrick Johnstone. 1 Comment. Now that we are all used to having a Compass Card, and even whingy, retro-grouch, late adopters like me have adapted and find the payment system easier to use, it’s probably a good time to discuss whether the current payment system for public transit makes sense. Fortunately, TransLink is doing that right now. The system used by TransLink now dates back to the BC Transit days, more than 30 years ago. The familiar zones, transfers, off-peak discounts, and concession fares have only been tinkered with since the SkyTrain was shiny and new. The shift to single-zone buses to accommodate Compass Card was probably the biggest system-wide shift, but the arrival of Compass and long-awaited expansion of transit service make this a good time to review if the system we have really serves its customers best. As New Westminster is the community that relies on transit more than any other on a per-capita basis, I hope people in New West take the opportunity to take part in the on-line survey and share their ideas. Fares paid by transit users represent about 37% of TransLink’s revenues, a little over $510 Million out of total revenues of $1.4 Billion. However, it is not the intention of the ongoing fare review to increase the amount of revenue generated from current users. It is more about making the system more efficient and more attractive to users, which may result in increased revenue through boosted ridership. 1) Zones: Should there be a flat fare for the system regardless of distance traveled, or should people pay more to travel further? 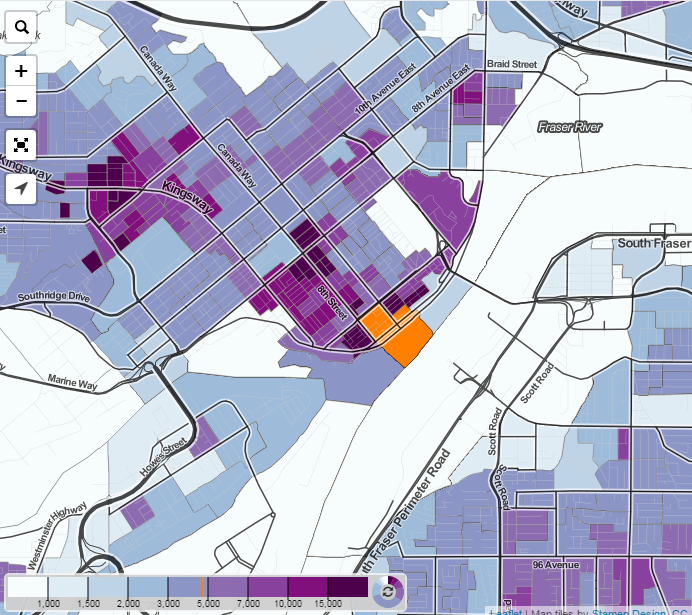 If the latter, how fine-grained do you want zones to be? We currently have 3 zones for SkyTrain and one for bus and separate ones for YVR and West Coast Express, but could easily break the region up into 10 or more zones, or create “floating” zones where the edges shift based on where you first enter the system. 2) Travel Time: Should you always pay the same rate to ride transit, or should TransLink continue to give discounts outside of the busiest hours to try to spread the load (and crowds) across the system? If the latter, should there be only a Peak and an Off-Peak rate, or should the rate shift throughout the day, even hourly? 3) Service Type: Should all transit cost that same, or should you pay more for SkyTrain than you do for a bus; more for B-lines than for regular buses; different rates for West Coast Express and SeaBus? Perhaps more provocatively: should we have “business class” buses, with WiFi and cushy seats and foot massage for a premium cost? I have my own opinions (surprise!) on all three of these topics. I even got to share them at a stakeholders meeting for elected types a few weeks ago. Fortunately, I also got to hear differing opinions on each of the points from people around the region. Most of these arguments discussions ended up circling around providing a “simple” system vs. a “fair” system. I tended towards the latter argument, mostly because I want a system that works for the day-to-day users and encourages use by residents of the region, and am less fussed about whether the system is quickly understood by tourists. I’ve traveled in transit systems in lots of countries in the last few years. Whether it was New York’s flat $2.75 a ride or Singapore’s highly variable distance-based sliding rates, we always managed to figure it out very quickly, and with a digital cards, it was never enough of a hassle that it made riding transit difficult. I was also very curious about how any future payment system would be integrated with a regional road pricing scheme. It has always bugged me that tolls to cross the river or the Burrard Inlet have always existed for transit users in the form of “zone boundaries”, but driving across the bridges remained toll-free. If we want to leverage fair pricing of our regional transportation network towards Transportation Demand Management goals, the fare system must be integrated. Finally I have a bunch of opinions (surprise!) about other aspects of the TransLink fare system. Why do we charge youth when they are travelling with their parent? Where are the employer incentive programs? Why am I paying an extra $7 at YVR? But these are not part of the current discussion. That type of fine-tuning and incentive program development will need to be a new discussion once TransLink has scoped out a renewed fare model based on the three principles above. So go and take the survey, please, in the next couple of days, and give TransLink a bit of guidance about how you use the system, and how you want to pay for it. Make it work better for you, and for the region. Posted on February 9, 2017 February 9, 2017 . by Patrick Johnstone. 1 Comment. The February 6 meeting of Council started with a series of presentations, including a discussion of the City’s Budget, and an Opportunity for Public Comment on the topic. As regular readers (Hi Mom!) will be aware, the City annually approves a budget in a form that is regulated by the provincial government. Those regulations require us to prepare a 5-year financial plan, and for the budget to be balanced. As part of the lengthy public process, this is the third or fourth time parts of this plan have come to Council, and there have been ongoing requests for public input from Council, on the City Page, and on the City’s website. Considering the importance, we get remarkably little feedback or constructive criticism from the public on this. I will write further blogs in the upcoming weeks about the 5-Year Financial Plan, and the Bylaw that sets the Property Tax levels for 2017 will be coming back to Council next month. This will result in further conversation, I’m sure. We had one person take the opportunity to present to Council on the 5-Year Plan, and I wanted to touch on some issues he raised. First, we are not hosts of “one of the highest Property Taxes in Metro”. Our average is 11th out of 22 local governments in the Metro Vancouver area, and our taxes per capita and per household are both below the average (here is a post I wrote last year, and another one, both covering this topic). 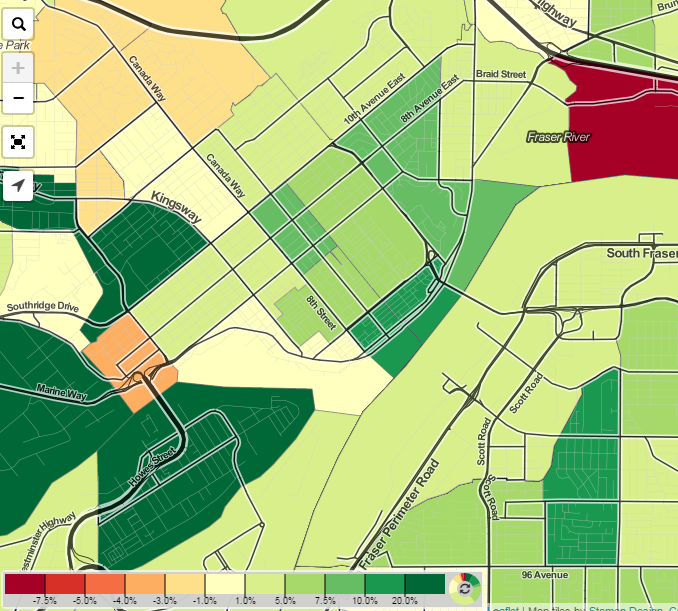 I have also done a comparison (although this is a couple of years ago) looking at MLS housing values across the region and how our Mil rate compares, and again, we are right around average for almost every tax class. Second, the City is not permitted to run a deficit; we need to balance our budget every year. We are, however, allowed to borrow money, and we are allowed to put money in reserves. Currently, we have about $65 Million in outstanding debt that we are paying off. We also have a little more than $120 Million in our long term investments and in the bank as cash. If we were to cash in our savings and pay off our debt, we would be up more than $50 Million. However, that would not be a great long-term strategy for the City’s finances. The playground at Quayside Park (where the Expo86-era model submarine is) needs to be removed, because there is a major storm drainage line under it that is failing. Replacing that line is not an option, it needs to happen, and excavating around the park is the only reasonable way to do it. Fortunately, the park itself is nearing the end of its design life, and doesn’t really meet modern standards for such a valuable amenity for the Quayside community. Our Parks staff have done a year of design and public consultation on this topic, and this report shows the preferred design that came form that process. Works will occur this spring, with the park out of service for a couple of months, but back in much improved order by June. 1. Arts Strategy: There is a lot going on in the City in the arts, between developments at the Anvil to activate the public space and programs, advancement of our Public art program, and strengthening of our partnerships with organizations from the Arts Council to Massey Theatre Society. The strategy has gone through a considerable amount of public discussion and is coming together, expected to come to Council in a draft form in the spring. 3. Economic Development Strategy: We recently reviewed the Business Survey the City performed, which is an important part of data gathering for this strategy. There is also an event coming up in late February – Innovation Week – that will bring many aspects of the City’s ED file together with a broad group of partners to develop ideas about how Innovation will change our economic development, and our City in general. 4. Riverfront Greenway: The long-standing dream of connecting the Pier Park to Brunette Landing Park with a pedestrian and cycling route along the river is getting some legs beneath it (pun! I’m on fire today!). There are some significant engineering challenges here, including the general paucity of space for a trail between the Railways’ wide buffer zone, steep slopes above and below Front Street, and a river with large tide fluctuations. Then we need to thread the needle through or around a couple of bridges. We are hoping the Pattullo replacement project provides some opportunity to develop a collaborative design. So, not much more than a few lines on a map right now, but the momentum is definitely there. Welcome Alan Hill to the role of Poet Laureate, the fourth person to hold that position since the role was created. I am impressed by Alan’s work, and by his vision for making the written and spoken work a bigger part of our City’s arts scene. He also happens to be a great guy raising a family in Glenbrook North. Congratulations, Alan, and I look forward to seeing you at Civic Events! This is a project to develop supported housing in Queensborough as part of the City’s larger affordable housing strategy. At this point, the project requires an OCP amendment and Rezoning. Council approved moving this through to the Public Process that will include committee reviews, public open house, Public Hearing, etc. This is another project to develop affordable housing, this time in Downtown. At this time, the project requires a closure of an unopened road portion, which (like most everything we do) requires a Bylaw. Council approved sending this to first and second readings. This move resulted from discussions about how to manage succession planning in the working group, as its mandate has been extended since it was first put together, and the Queens Park Residents’ Association membership has changed. There is a balance here between making sure stakeholders are represented and losing momentum that has been generated by three years of working collaboratively. Something apparently went wrong with this application, and the Pipe Band was not included in the review of grants that took place in the fall. This puts us in a difficult situation, as their $3,000 request was not assessed alongside the other Community Grant applications the Community reviewed, and I don’t know how they would view this request had they received it. The Community Grant Committee had $115,000 in grant requests, and had to say no to $67,000 in requests. There were 7 organizations had their grants refused outright and several others received significantly less than they requested. However, this organization does have a long history of successfully applying the Grant to their program. Council, attempting to divine the desires of a committee that no longer meets, and recognizing it was likely a paperwork SNAFU that put us in this situation, approved granting them the same amount the group received in previous years, which is less than they requested, but should continue to support their program. This is a follow up to the first demolition permit the City issued in Queens Park during the Heritage Control Period. Council approved the demolition after receiving reports that indicated the house had little heritage value, and that no significant loss of neighbourhood heritage values would result from its demolition. However, the replacement home requires a Heritage Alteration permit, which means it need to meet the rather strict Queen’s Park Historic District Residential Design Guidelines. The replacement as proposed meets those guidelines, and also requires no variances from the current RS-1 zoning as far as size, FSR, height or such. The project was recommended for approval by the Heritage Commission and the Technical Review Panel. The endless adventure continues. The engineering work for Whistle Cessation on the Begbie and Front Street crossings downtown is complete (at a cost of just over $1 Million to the City), we only need to go through the paperwork exercises. By passing this resolution, we are formally serving notice to the rail operators under the Railway Safety Act. They have 30 days to comply. Assuming no surprises, whistles should stop sounding in Downtown New Westminster as soon as March. It is a bit early to start planning for the 2017 Freshet, but despite our wintry winter, provincial snowpacks were mostly at or below average levels at the beginning of January. The notable exceptions are the South Coast and Lower Fraser Valley, which are 14% and 11% above average – and note this is before this week’s extra snowpocalypse events. Lots of snow is yet to fall across the province, and so much of freshet risk is related to how quickly it melts as opposed to how much there, but no need to worry yet. This discussion grew organically (pun!) out of discussions at the Environment Advisory Committee. Food security and the impact of our food choices on the environment were part of the discussion, and there was some concern that City Hall doesn’t appear to be taking a leadership role in this regard in how we provide food at City functions and facilities. The committee started with the simple question: are the ubiquitous tropical fruits and cured meats the most sustainable choices for City Hall meetings? It definitely expanded beyond that narrow topic to thoughts of developing more of a corporate-wide policy about food. These Bylaws that support the closure and rezoning of an unopened road portion in Downtown, so they can be included in an Affordable Housing Project, were given two readings. The City currently has a policy that new civic buildings meet or exceed LEED Gold standard, however the LEED standard is now only one of several certification standards used to measure the lifetime environmental footprint and energy efficiency of new buildings, from LEED to NetZero to Passive House. As the city is considering a significant investment in capital projects in the years ahead (Canada Games Pool, new Animal Care Facility, a replacement for the Arenex), council has asked staff to provide us a report outlining the costs and benefits of different standards, to determine if our slightly myopic LEED Gold policy is still the best way to achieve our energy efficient building goals. …and with that, we were done for the night, except for a couple of council members needing to dig their cars out of 12 hours of snow. Posted on February 1, 2017 . by Patrick Johnstone. Leave a comment. We had a relatively short Council meeting this week, partly because we had a long workshop during the day, and a Public Hearing in the evening. You never know how long a Public Hearing is going to go, so the Agenda was a little short. This doesn’t mean it wasn’t exciting and full of fun stuff. This project is interesting for several reasons. It is a 6-story apartment building on a small street in uptown just north of Bent Court. The building includes a lot of 2- and 3-bedroom suites which meet our Family-Friendly Housing policy, and the ground floor apartments are designed to face the street and make for a attractive street interface. The HRA part of this is related to the 1898 house on the site, which will be preserved, move to the west (sunny) side of the lot, and restored into a three-bedroom family home. The project was modified through discussions with the Design Panel and Advisory Planning Commission, both of which gave approval to the final plan. The Residents association was generally in favour. We received one piece of correspondence for the Public Hearing, which was in support of the project. At the Public Hearing, we had one neighbour speak against the project. To paraphrase what I hear in her presentation, she was not convinced the restored heritage home was worthwhile, and was worried about the impact on street parking. I did not share her opinion about the preservation of the house, and think that a project like this is an important component of how we, as a City, are going to accommodate growth and the need for housing with the desire to preserve heritage assets, especially houses more than 100 years old. I also noted the project has more parking than suites (50 parking spots for 42 suites, plus 7 guest parking spots) which is a few short of the zoning requirement, but a variance I am willing to support for family-friendly housing Uptown. Council referred the applications to Regular Council for Third Reading. This Bylaw makes several minor changes to our Zoning Bylaws to reflect the reality of how commercial spaces are used in the City. It allows pet daycare at animal care facilities, adds Daycare to a few select commercial zones, and updates the list of Liquor Primary operators in the city. Not surprisingly, no one sent us correspondence, and no one came to speak at the Public Hearing in regards to this amendment. Council referred the Bylaw to Regular Council for Third Reading. Council gave these Bylaws Third reading, moving the project towards formal adoption. Council gave this Housekeeping Bylaw Third reading, moving it towards formal adoption. Candice James’ terms as Poet Laureate came to an end, as the Terms of Reference for the position limit how long a person can serve. Her service as our third Poet Laureate was exemplary, and the Arts Commission recommended to Council that we officially offer her the honourary title of “Emerita” for perpetuity. The City is applying for a grant to help pay for some infrastructure planning work – determining where we need tot spend and when to maintain our infrastructure. This is only planning work, not actual infrastructure repairs, as $10,000 doesn’t go very far, but well take it if we can get it. Three times a year, Staff report out on major purchases, as part of our open accounting. You can look at this report and see what we are spending your money on, and how the open procurement process worked out. The City has several Reserves Funds to pay for future capital works and commitments we have made under our DCCs, along with a bit of surplus money from previous budgets. We keep some of that money in the bank so it is readily available, and we keep some in Municipal finance Authority funds that give pretty good return and are very low risk. You can read the report for more details, but very short version: it’s about $124 Million, and we budget to earn about $2 Million in interest on that money. The City is looking at taking a more open and adult approach to permitting video arcades/ pinball halls (depending on your generation), and getting rid of the current blanket prohibition. Funny to read the regional bylaws where these types of operations are permitted with varying levels of control. It is easy to read the Moral Panic in the development of these bylaws. From Surrey’s: “No person under the age of 16 years is permitted to operate a pinball machine after 10:00pm, except Fridays and Saturdays or the night prior to a statutory or school holiday, unless accompanied by a parent or legal guardian”. Council moved to give there Bylaws two readings. Freedom of Information is an important principle in governance today, and the flip side is privacy protection. They are so intertwined that they are regulated together under the provincial Freedom of Information and Protection of Privacy Act (FOIPPA). The City has implemented FOI procedures, even have a staff member whose job it is to manage FOI compliance (so Council or senior management cannot decide unilaterally when or why something is protected from public eyes). As mentioned above, Council gave these three Bylaws that support the operation of Arcade amusements in the City two readings. We will review these Bylaws at a Public Hearing on February 20th. C’mon out and tell us what you think. As mentioned above, this Bylaw managing how the city will comply with Provincial Privacy laws, was given three readings by Council. As mentioned on January 16, this Bylaw that re-allocates some DCC funds to build some sewer infrastructure was Adopted by Council. It’s the law of the land, may the sewage be pumped to the benefit of all. And that, excepting some somber discussion of current local, national, and international events that have us all looking for catharsis, was an evening at Council. It is a strange time with too much to get depressed or distressed about. People are good, be good to each other, and don’t let the bad out there change you, or convince you it is winning. It never has before.